Description: When trying to integrate a new application that uses Forms Authentication. All of the settings have been matched between the IdP and the Application but the browser is not sending the Cookie to the application so the application redirects the User back to the IdP login page. Cause: Browser only sends cookies to App Servers that are in the same domain as the Cookie domain. 1. 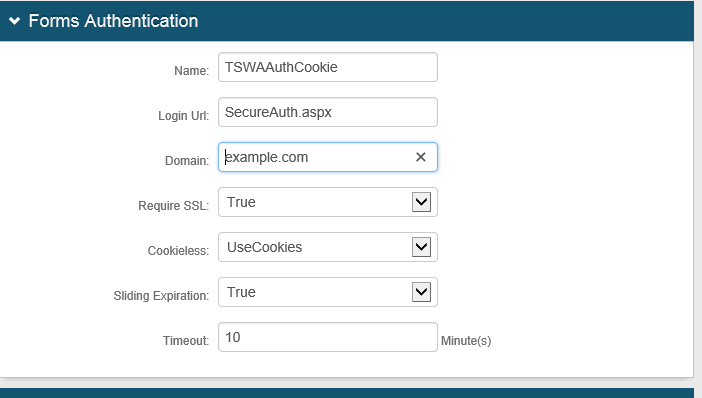 In the SecureAuth Admin Console, navigate to the realm and click on the Post Auth Page. 3. Set the Domain. This must match the IdP and App Servers domain.